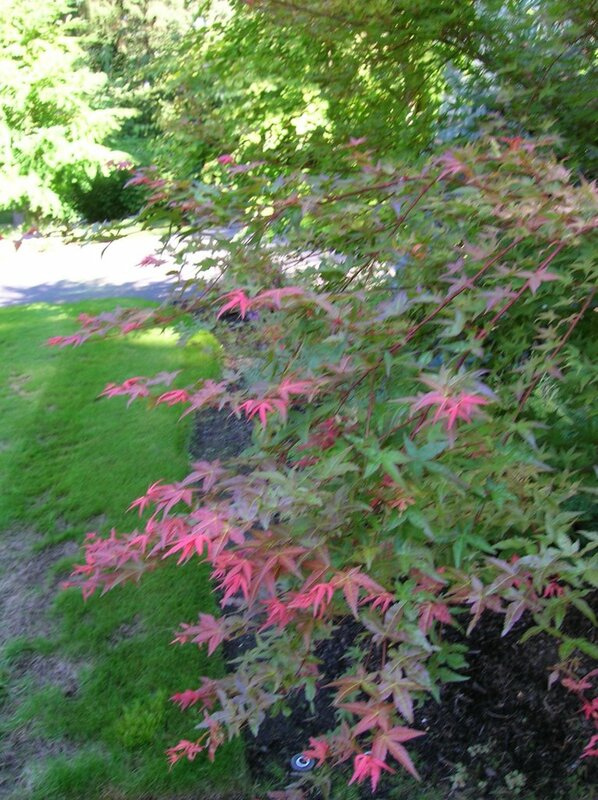 A friend at work asked me to help her find out what variety of Japanese Maple (Acer palmatum) this might be. So, I'm putting out this *all points bulletin* to see if anyone knows. Because who knows, YOU might see this picture and think, "that's exactly like one I have in my garden and it is fill-in-the-blank". Or maybe Trey knows? She saw the tree growing in Portland, Oregon while on vacation. She says the bark is smooth and the branches are light green. Plus, the new foliage is red, as you can see. This may be a function of the amount of light the "outer" leaves are getting compared to the "inner" leaves. Regardless, she wants to find this tree for her own yard and would love to know what variety it is. Anyone have any ideas? 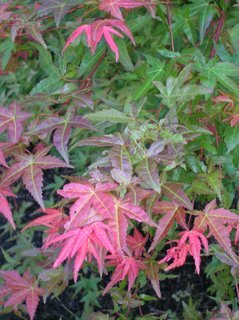 Or if you don't know what variety this is "exactly", if you have a Japanese maple that is similiar, what is the variety and would you recommend it for a Zone 5 garden? It is quite an attractive tree, I will admit! When you find out what it is and where to get one, let me know! I would love to plant one in my yard! 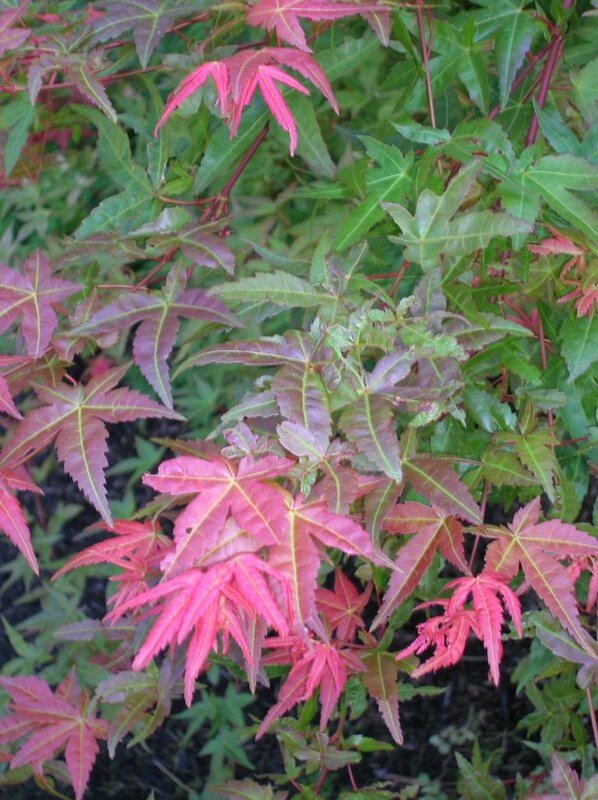 It’s common for Japanese Maples to send out fresh growth when summer turns to fall. The bright red leaves are what the whole tree looks like in spring! As the spring turns to warmer summer the leaves tend to loose the bright color. It is also, as you say, partly because of the lack of light. It may be a maple grown from seed, and therefore not a named variety. 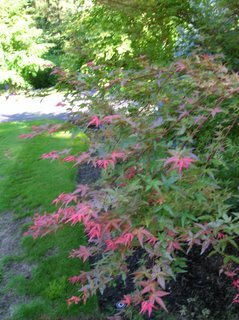 You might try Acer palmatum “Fireglow”. The new leaves emerge a very bright pink, then turn darker red in summer.